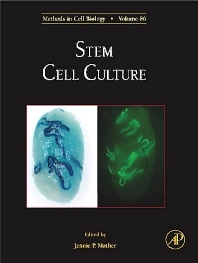 The purpose of Stem Cell Culture is to provide a comprehensive resource for researchers in the fields of embyonic, fetal and adult stem cell biology to find methods for the purification, culture, and differentitation of these cell types, with the main emphasis on the maintenance of the stem cell phenotype in vitro. This volume will be the first to broadly cover multiple types of stem cell culture from different ages, organs and species. Authors will focus on the practical do's and don'ts of isolating and culturing these cell types, and feel free to use illustrative data or diagrams whereever this improves the comprehension of the reader. This should allow the reader to compare and contrast techniques and make this a standard reference for those in the field, or desiring to start stem cell culture. Biologists who are considering culturing stem cells in their lab.